Although I believe it is essential to regularly reflect on various aspects of our lives, the new year is just one of those times when some of us are “programmed” to take our reflections especially seriously. This year, I owe a great debt to Dr. Maryanne Wolf for my New Year’s “professional life” reflection and commitment to future action. In the past four weeks, I have read, made notes, reflected, reread passages, and written about her latest book Reader, Come Home: The Reading Brain in a Digital World (2018). This is not the first time in my life that questions about reading in the digital age have kept me awake at night. In 2008, I read Dr. Wolf’s book Proust and the Squid: The Story and Science of the Reading Brain. Since that time, I have often found myself wondering about how, what, and why we read is changing our personal and professional lives as well as our national and global society. The next year, two books greatly influenced my thinking on reading in the digital age. William Powers’ book Hamlet’s Blackberry: Building a Good Life in the Digital Age (2011) made me think about taking time away from my devices in order to create time for reflection and perhaps access to my own imagination and creativity. Later that year, I read Nicholas Carr’s book The Shallows: What the Internet Is Doing to Our Brains (2011) and furthered my quest to find online and offline balance in my life. In 2012, I coauthored an article with Cassandra Barnett for Knowledge Quest in which we connected school libraries to Nicholas Carr’s work. We wrote if Carr “is correct, we should nurture the fertile thinking time that can happen between input and innovation by providing students the option of a peaceful environment in the midst of the action in the school library” (Moreillon and Barnett 2012, 2). Sherry Turkle’s research and writing about the impact of technology on relationships and empathy also influenced my thinking that year… Alone Together: Why We Expect More from Technology and Less from Each Other (2011) and more recently, Reclaiming Conversation: The Power of Talk in the Digital Age (2015). Turkle’s writing and TED Talks created fertile ground for planting the seeds of Maryanne Wolf’s latest cautionary tale. Wolf is not a technophobe. She is involved with others in developing technology tools to support young readers. TinkRBook involves something called “textual tinkerability” that encourages readers to interact with text (145). Her Curious Learning research project is looking at apps for learning oral language (147). But Wolf stuck a chord with me when she made this observation in Reader, Come Home. “No self-respecting internal review board of any university would allow a researcher to do what our culture has already done with no adjudication or previous evidence: introduce a complete, quasi-addictive set of attention-compelling devices without knowing the possible side effects and ramifications for the subjects (our kids)” (Wolf 2018, 125). We have indeed entered into a grand technological experiment with the minds, bodies, and futures of the youth who were/are born into a digitally dominant U.S. society. We want them to have all of the benefits that the technological world offers—access, speed, connection, and possibilities as yet unknown. Yet, we also want them to know the affordances of the analog world—a world in which information and life move at a slower pace, a space that may allow more time for critical thinking, creativity, reflection, and innovation. If you are curious to learn more about Maryanne Wolf’s work, read her November 16, 2018 Science Friday article and then seek out a copy of her book! I truly believe, as Carr (2011) noted, schools and libraries are the epicenter for transforming learning. With effective, state-certified school librarian leaders serving the multiple literacy needs of students, colleagues, administrators, families, and communities, schools can reach their capacity to prepare youth for living and working in a connected world. School librarians can collaborate to ensure students can read, analyze, use, and create new knowledge online and offline. We can help them find their personal sweet spot—a balance between life on the screen and life off of it. Transforming our schools and libraries is the school librarian’s path to creating opportunities for transforming our world. For my part, I recommit myself to the 2018-2019 Maximizing School Librarian Leadership blog-based book study, monthly podcasts, and Facebook Group as my contribution to this timely and critical goal. I will continue to learn from and think with others in my PLN, write, and make the case for the critical importance of effective school librarians and fully resourced school libraries in future ready education. How would you describe your 2019 commitment to transforming learning and teaching through school libraries? Carr, Nicholas. 2011. The Shallows: What the Internet is Doing to Our Brains. New York: Norton. Moreillon, Judi, and Cassandra Barnett. 2012. “April is School Library Month: You Belong @your library: A Portrait–in Words and Pictures.” Knowledge Quest 40 (4): 1-6. Powers, William. 2011. Hamlet’s Blackberry: Building a Good Life in the Digital Age. New York. Harper. Turkle, Sherry. 2011. Alone Together: Why We Expect More from Technology and Less from Each Other. New York: Basic. _____. 2015. Reclaiming Conversation: The Power of Talk in the Digital Age. New York: Penguin. _____. 2018. 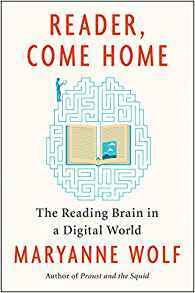 Reader, Come Home: The Reading Brain in a Digital World. New York: Harper. For the luckiest children, the gift of traditional literacies begins in their homes. “Seeing, hearing, mouthing, and touching books helps children lay down the best of multisensory and linguistic connections during the time that Piaget aptly christened the sensorimotor stage of children’s cognitive development” (Wolf 2018, 133). Adults and older siblings read to the luckiest of children. As babies and toddlers, these children have nestled into a lap and have been held in the arms of a loving family member or caregiver who invites them into the world of story. For other children, books and reading are not prominent features of their lives until they enter preschool or when they attend public library storytimes. 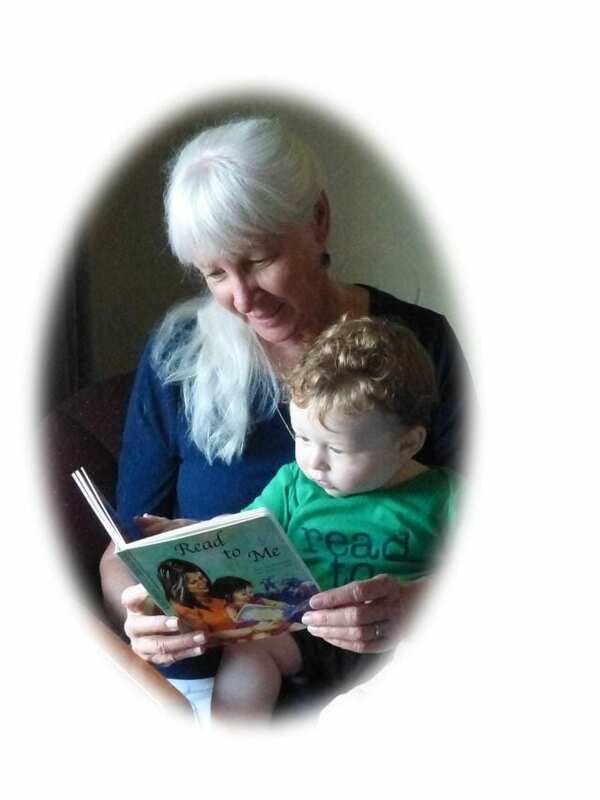 When preschool teachers read to children daily, they set an expectation for connecting through books. Or when children attend storytime at their public library, they learn that books contain stories and illustrations that are fun. They begin to learn through story. For still other children, their kindergarten and primary-grade classroom teachers and elementary school librarian are the first caring adults who model the gift and value of books and reading. Wise educators select books that offer children invitations to learn about themselves, about others, about the physical world and the world of the imagination. Young children also learn to listen attentively to and (hopefully) respond to stories. They learn to share and attend to the responses of their peers. They begin to understand the social aspects of reading with other people outside their homes. Home, preschool, and primary-grade books are often selected to support young readers developing literacy but that can change as children advance through the grades. Some students will continue to be avid readers; others will not. Some will become regular library users who seek out new books, authors, and topics; some will only read when they are required to do so for a class assignment. Some number of students will invariably wrestle with school-based reading materials and increased expectations for literacy learning, especially when they bump up against “gatekeeper” texts. Gatekeeper texts are “various texts that permit or deny student access to educational, economic, civic, and cultural opportunities” (Schoenbach, Greenleaf, Cziko, Hurwitz. 1999, 9). Gatekeeper texts are found in all content areas. They include difficult classic texts, standardized tests, testing materials, including those used in advanced placement courses, college and career applications and forms, and more. For far too many students, these gatekeeper texts have turned them off to reading, writing, or making the required efforts to advance their lives. It is imperative that educators help students be effective readers and writers so that these texts do not limit students’ life choices. Deep reading comprehension strategies and a problem-solving orientation toward challenging texts can help readers be successful. It is important for students to see family members, school librarians, classroom teachers, administrators, school staff, and other important people in their lives engaged with traditional literacies. Seeing parents and educators reading their own self-selected texts is important. Engaging young people in discussions about what adults are reading, listening to, or viewing—be it a novel, the news, or information in any format—lets students know that reading and discussing what you read are essential lifelong activities. Adults must also model writing beyond making grocery store lists. Do we still write letters and thank-you notes by hand? Or if we compose them on our computer, tablet, or phone, do we let children and teens know that is what we’re doing? Do we journal or write comments or letters to the editor of news media? Do we encourage young people to engage in these types of writing activities at home and at school? Talking about what we are reading, writing, or thinking must also be a part of daily life in and outside of school. Far too often, we let media do the talking for us and deprive youth of understanding and practicing how discussion works. Adults need to model being respectful listeners as well as effective speakers. We need to express disagreements without demeaning other people. We need to show it’s possible and preferable to develop empathy for those who do not share our views or life experiences. The impact of the gifts of the four foundational literacies cannot be overestimated. Literacy gives people more opportunities in life, and it also has the potential increase our understanding of and empathy for others—to make us more human. Children’s and young adult author Katherine Paterson wrote an article entitled “What Does It Mean to Be Truly Literate?” (Paterson 2003). Although I read this article many years ago, Ms. Paterson’s perspective has stuck with me because I believe she spoke directly to the heart of literacy. “True literacy” helps people dispel ignorance and see the larger world more clearly. Reading does that; interacting with others through speaking and listening does that. Writing also helps us see and examine our inner and outer worlds more clearly. Knowing how to use our literacy skills to improve our communities, nation, and global society may very well be the way to ensure a more just future for all. To support young people as they develop “true literacy” is a gift that educators (and families) both give and receive. Without a focus on traditional literacies, there can be no empowered learning culture in any school (or home). What is your definition of “true literacy”? How does your understanding of “true literacy” guide your work as an educator, parent, or mentor to young people? Paterson, Katherine. 2003. “What Does It Mean to Be Truly Literate?” Language Arts 81 (1): 8-9. Schoenbach, Ruth, Cynthia Greenleaf, Christine Cziko, and Lori Hurwitz. 1999. Reading for Understanding: A Guide to Improving Reading in Middle and High School Classrooms. San Francisco: Jossey-Bass. As you likely know, the references to coteaching reading comprehension strategies in Maximizing School Librarian Leadership are summaries based on my previously published professional books focused on this topic. In those books, I focus on seven reading comprehension strategies that can be applied to all texts and across all content areas: activating or building background knowledge, using sensory images, making predictions or drawing inferences, questioning, determining main ideas (or importance), using fix-up options (to gain or regain comprehension), and synthesizing. All of these strategies can and should be applied to both print and digital texts. For educators who want more information, lesson/unit plans, and graphic organizers and assessment tools to support instruction in teaching/coteaching comprehension, I highly recommend these books. Coteaching reading comprehension strategies during inquiry learning is a way for school librarians to position their work at the center of their school’s academic program. “Many of us see our role as fostering the enjoyment and appreciation of literature in all genres and information in all formats—but we have stopped short of taking part in actual reading instruction. Helping youth become capable readers is the goal of every school. Improving students’ reading achievement and improving teachers’ reading instruction are critical concerns of all school principals. If we are to position ourselves at the center of our schools’ literacy programs, then we must become leaders in reading instruction” (Moreillon 2008, 27). Inquiry learning offers an authentic opportunity for school librarians and classroom teachers to coteach reading comprehension strategies. During inquiry, coteachers model using think-alouds to demonstrate to students how to approach unfamiliar or difficult text. They show that two (or more) people will bring different background knowledge to reading a text and apply different strategies to wrestle with meaning making. Coteachers model the behaviors of lifelong learners. When students are seeking information to answer their questions, they will invariably interact with texts that are above their proficient reading level. At these points during inquiry learning, students will need to be able to reach into their reading strategy toolkits to select and apply the best tool(s) for the comprehension challenge. Educator and peer modeling are essential to making visible what is often invisible to striving and struggling readers. Understanding reading as problem solving helps strengthen students’ ability to think critically and make meaning from texts. Students need scaffolds and frameworks to support them as they develop complete reading comprehension toolkits. Graphic organizers and elementary bookmarks and secondary bookmarks such as these found in Chapter 2 in my reading comprehension book resources can help give students the reminders they need to be effective comprehension problem solvers. Developing a set of initial questions to ask when approaching unfamiliar text is another way to support effective reading and information seeking. (See page 64 in Maximizing School Librarian Leadership). In order to wrestle with difficult texts and engage in deep reading, readers must employ comprehension strategies (see seven strategies listed above). Deep reading takes time. “The quality of how we read any sentence or text depends, however, on the choices we make with the time we allocate to the processes of deep reading, regardless of the medium” (Wolf 2018, 37). When we are modeling, it is important for educators demonstrate persistence with difficult texts. In their book Reading for Understanding: A Guide to Improving Reading in Middle and High School Classrooms (1999), Schoenbach, Greenleaf, Cziko, and Hurwitz offer a strategy that I have used since reading their book almost twenty years ago. Ask students to bring in texts for which adults will be challenged to make meaning. Examples could be rap or other song lyrics, video games, technology, or other manuals, or any text for which students have expertise or experience and educators don’t. Using think-alouds, educators demonstrate that they must reach into their reading strategy toolkits to make sense of the text. Students then have the opportunity to assess the educator’s understanding and meaning making process (56). Regardless of our age, background experiences, and reading proficiency, all readers will bump up against difficult texts. In order to read deeply, all readers will need to show persistence in solving comprehension challenges. Students will also run into other roadblocks in their information-seeking process; they can lose momentum or threaten to give up all together. Activating and applying the disposition persistence during inquiry learning is essential. Practicing persistence is important to being successful in life as well as in schooling. Do the administrators and faculty colleagues with whom you serve view school librarians as reading comprehension teachers? If they do, how can you capitalize on this leadership opportunity? If they don’t, how can you change this perception? Moreillon, Judi. 2007. Collaborative Strategies for Teaching Reading Comprehension: Maximizing Your Impact. Chicago: ALA.
_____. 2008. “Position Yourself at the Center by Coteaching Reading Comprehension Strategies.” Teacher Librarian, 35 (5), 27-34. _____. 2012. Coteaching Reading Comprehension Strategies in Secondary School Libraries: Maximizing Your Impact. Chicago: ALA.
_____. 2013. Coteaching Reading Comprehension Strategies in Elementary School Libraries: Maximizing Your Impact. Chicago: ALA. The quote that follows from that book has informed my beliefs about literacy practices. Reading is not just a basic skill. Fluent reading is not the same as decoding. Proficient readers share some key characteristics” (Schoenbach, Greenleaf, Cziko, and Hurwitz 1999, 17-19). These beliefs have also informed my teaching and focus on teaching/coteaching reading comprehension strategies at all levels, from kindergarten through graduate school. When school librarians and classroom teachers codevelop common beliefs about literacy they will draw from many sources, including the beliefs that inform non-library associations’ understandings of literacy learning. English language arts associations are where school librarians can begin their search for common beliefs. I am a long-time member of the International Literacy Association (ILA). Formerly the International Reading Association, ILA offers research-based position statements, white papers, research advisories, literacy leadership briefs, and reports reflecting the association’s perspective on current topics and trends. As a member, I receive the bimonthly Literacy Today magazine. The “What’s Hot in Literacy Report” is an annual must-read! I recently read and found the “Exploring the 2017 NAEP Reading Results: Systemic Reforms Beat Simplistic Solutions” report very helpful in further developing my understanding of NAEP. In my career, I have copresented at two ILA conferences. One was a day-long preconference workshop that included Nick Glass from TeachingBooks.net and children’s book authors talking about their work; my piece was to bring in the school librarian’s role in promoting literature and coteaching reading comprehension strategies. The other was a panel of school librarians and classroom teachers sharing their collaborative teaching. When I taught secondary students and YA literature at the university, I maintained my membership in the National Council of Teachers of English (NCTE). NCTE also has a page of position statements on their website. In 2005, I had the opportunity to work with NCTE colleagues to draft the “Resolution on Supporting School and Community Libraries.” Wouldn’t it get great to work with NCTE again to ask them to renew their pledge to support school libraries and the work of school librarians? ILA and NCTE are partners on the Read Write Think website. Through my association with ILA, I published two collaborative classroom-library unit plans on the site. I appreciate these two organizations for their collaborative efforts. What do we know about non-English language arts associations’ core beliefs about literacy? Our librarian and classroom teacher colleagues are associated with educational initiatives and organizations that understand that traditional literacies are the foundation for their efforts. School librarians are wise to investigate the beliefs of Future Ready Schools and Librarians, International Society for Technology in Education, National Council for the Social Studies, National Science Teachers Association, and more. In the best of all possible worlds, school librarians would all be rich enough and have the necessary time to join and be actively involved in the work of our school librarian associations and other literacy- and education-focused organizations. Whether or not we can participate in the activities of other organizations, we can learn from our colleagues who are members and who are up to date with the standards, positions papers, and initiatives of those organizations. “Professional conversations about the vision of the excellent reader become the starting point for building the school-wide professional learning community, dedicated to achieving this vision for all students. From there, grade levels collaborate to build the staircase curriculum leading to the vision, with each grade level committing to specific student outcomes related to the vision” (International Literacy Association 2018, 8). When we are working with colleagues to develop common beliefs about literacy, we must search for alignment with the values of all of these organizations. When we invest in collaborative conversations, listen to one another, and reach common understandings, we strengthen our school culture while improving our teaching. When all educators and administrators have common beliefs about literacy, school librarians can serve as effective coteachers who can best support students, educators, and administrators, and enlist the support of families in literacy learning as well. Using common beliefs about literacy learning as a framework for classroom-library coplanning and coteaching works! How do you stay up to date with common beliefs about literacy learning and teaching in all realms of education? How can you be a leader in codeveloping common beliefs about literacy in your school or district? I could not have written Maximizing School Librarian Leadership: Building Connections for Learning and Advocacy without dedicating a chapter to school librarians’ role as literacy leaders on their campuses. Chapter 4: Traditional Literacy Learning is a topic that is near and dear to my heart and essential to my thinking about school librarian leadership. When I taught preservice K-8 classroom teachers, I learned how much support beginning educators need in order to be effective literacy teachers. Many of the undergraduate students in the courses I taught were not proficient readers and writers. When I served as a junior high and high school librarian I cotaught with content-area classroom teachers who were, without a doubt, experts in their disciplines, but had not been taught to support students in reading and writing in their content area. It was (and still is) my belief that every educator is a literacy teacher and every educator’s proficiency in teaching reading and writing matters. This belief is why I wrote three professional books on classroom-library coteaching reading comprehension strategies (Moreillon 2007, 2012, 2013). Reading, writing, listening, and speaking are considered traditional literacies. Of these four, reading has captured the lion’s share of attention from parents and policy makers. Students’ standardized test scores in reading have been the topic of conversation and concern for decades. In recent years, there has been a national emphasis in the U.S. on students reading at grade level by the end of third grade. As a former elementary classroom teacher and K-12 school librarian, the children in the schools where I taught clearly demonstrated to me that readers progress in their ability to comprehend “grade-level texts” at various rates. It is curious to me that some policy makers focus on third-grade reading scores when it is in fourth grade that the curriculum turns sharply from narrative texts to informational texts. This transition can be a difficult one for developing readers. Perhaps this is why the National Assessment of Educational Progress, the only standardized national test in the U.S., tests reading (and math) in fourth and eighth grades. This does not mean, however, that learning and practicing strategies to comprehend difficult texts starts in fourth grade or stops in eighth. Young children enjoy informational texts in their preschool years and learning to make meaning from difficult texts certainly extends post K-12 schooling. In fact, I am often reminded that my own ability to comprehend texts is greatly dependent on my background knowledge, my ability to make inferences, and willingness to ask questions and seek clarification and greater meaning. In short, my willingness to make time to read deeply. This is particularly true when it comes to conflicting information from multiple sources and articles on subjects for which I lack prior knowledge. Reading with deep understanding is a lifelong process for me, as I suspect it is for you. Writing in likely the second most emphasized literacy in the school community you serve. While it may very well be true that the more one reads, the better one writes, writing in various registers and genres must be practiced. Two writing applications that have challenged the students with whom I have worked are summarizing and synthesizing. Both require students to understand the purpose for the piece of writing and to filter information through their own understanding in order to be successful. Summarizing and synthesizing require that students are able to separate main ideas from supporting details; they must be able to determine importance. Importance is based on the purpose for writing and on what the reader considers essential or new knowledge (that answers their questions). When students have made effective notes, summaries will be based on writers having put information in their own words. Synthesizing can be especially challenging when readers have discovered conflicting information. Listening and speaking seem to be getting short shrift in many schools today. Many of us listen to media-delivered voices more than we listen to the real-time face-to-face thoughts of other human beings. In schools, many students are not given or do not take opportunities to learn to speak clearly and with ease on topics about which they are passionate. When educators facilitate discussions about literature and informational texts (including material found in textbooks), they model and help students practice these important skills. Responding to texts orally, as well as in writing, builds understanding while it builds classroom community. Speaking is a way to have our voices heard. Listening to one another is a way we build empathy. Students also practice speaking and listening during presentations. Even when students have created technology-supported or other visuals to share with audiences, they can also speak to the impact of new knowledge on their thinking, feelings, and actions. They can ask and answer questions during a Q&A and reflect on the effectiveness of their communication in all four traditional literacies. How do you demonstrate to students that “literate” adults can be challenged to create meaning from difficult texts? How do you, as a school librarian, support students in further developing traditional literacies?